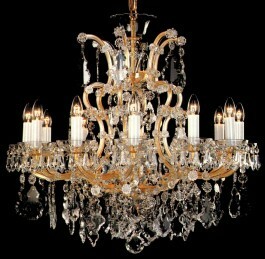 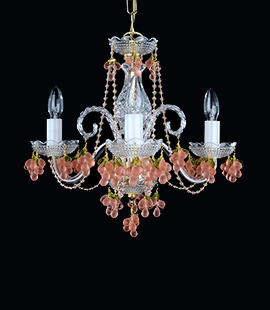 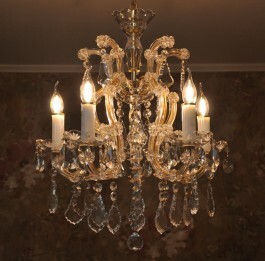 Maria Theresa crystal chandelier with gold finish (polished brass). Trimmings hand cut and polished pendeloques. 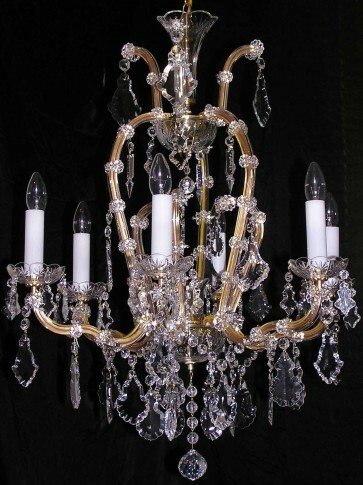 Dimensions (W x H): 65 x 84 cm/ 26.5"x34.3"
Chandelier can be ordered with almonds or flat Pendant trimmings.